I’ve spent the afternoon in the garden, listening to Stephen Fry reading Harry Potter and the Chamber of Secrets, avoiding listening to the news. Reports of the attacks in Paris came through this morning here in Australia and I’ve found it incredibly distressing. I love that city dearly and have been thinking of friends who live in France (all safe fortunately) and what they must be going through. I pricked out seedlings into grow tubes, said hello to my ever-growing flock of worms and fed them scraps, planted out vegetables and generally lost myself in Quidditch, Polyjuice Potion and Harry, Ron and Hermione’s escapades. As an avid reader, I think audio books are brilliant, particularly for works I’ve already read. But as a writer, I’m convinced anything worth reading should be read out loud. I even read essay drafts for university aloud and it’s surprising what I can learn from the exercise. Perhaps it’s the musician coming out in me, but I hear flow and tempo problems far more easily than I see them on the page. 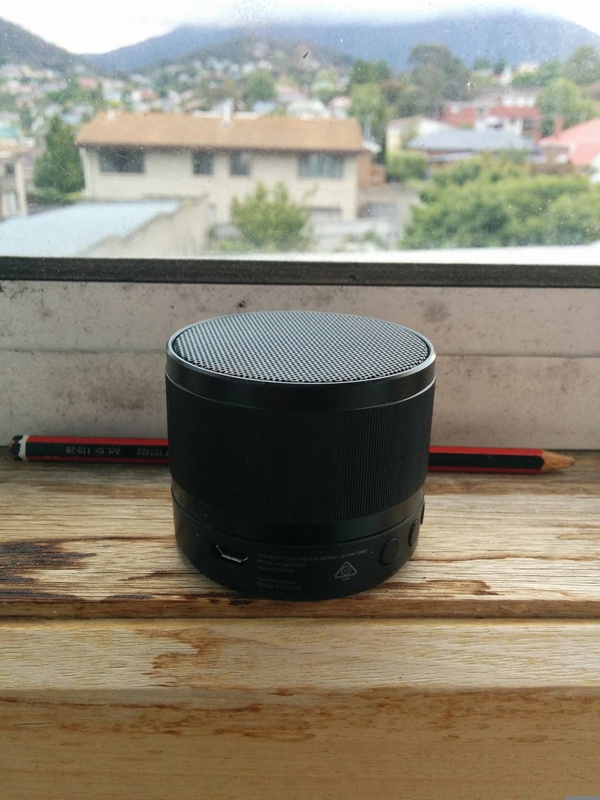 For my gardening time, I have a wonderful little bluetooth speaker I picked up cheaply that connects easily to my smartphone. I usually put them both on an upturned pot and chill out while I work. Late in the day, I decided to have a look at the main garlic bed. We’ve had quite a bit of rain the last few days and I noticed a few of the giants had toppled. It’s one of those plants where harvesting is crucial for long term storage and rain at this stage can mean mouldy heads. I adore garlic and I’ve been building up our stocks over the last few years, to the point where I might have enough for more than six months this time! The start of this years’ garlic crop! Note the pencil – these babies are huge! And this isn’t elephant garlic, but a particularly pungent local variety I’ve been growing for the last five years or so. The laundry smells amazing tonight, by the way! 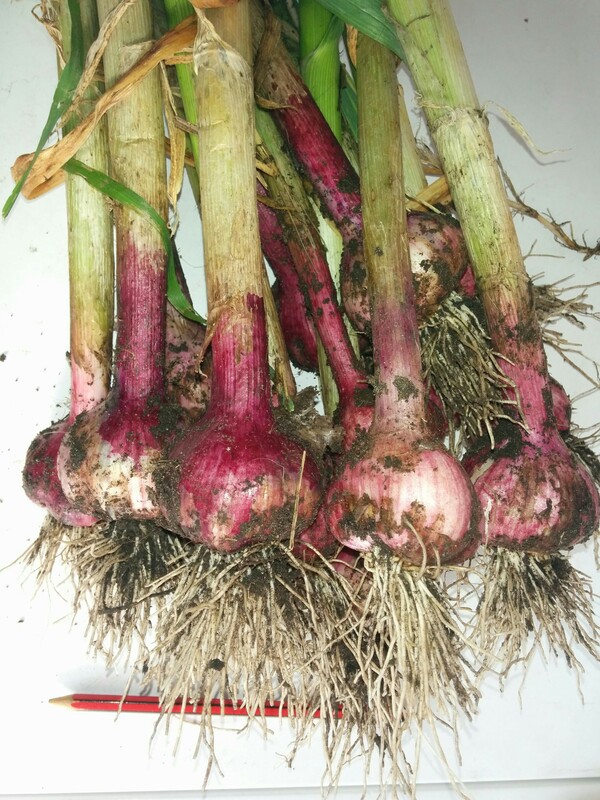 Do you grow garlic? If so, how do you store it? Please leave a comment below.